The set features the best that both brands have to offer. 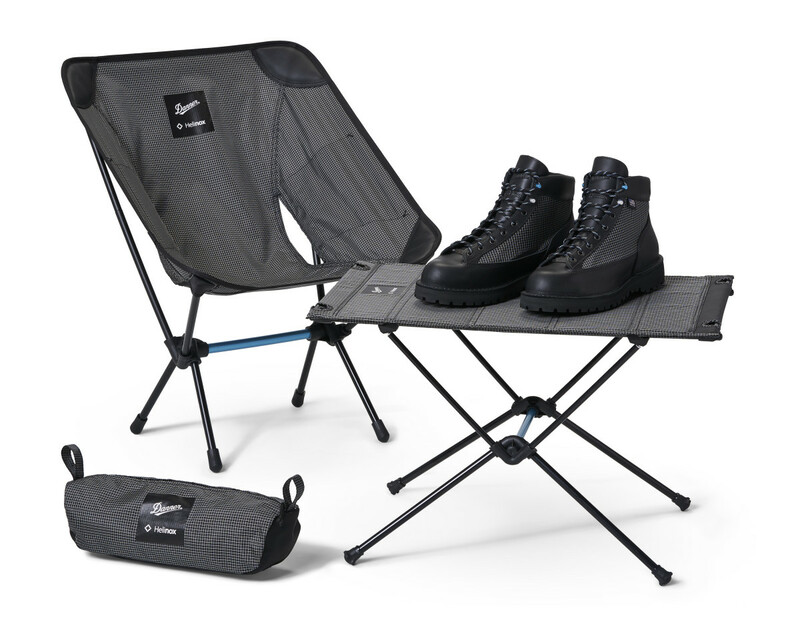 Danner and Helinox are teaming up on a utilitarian camp collection and they've brought together some of their best products for this special edition. The collection will feature Helinox's Chair One ($150) and Table One Hard Top ($150), which both feature DAC aluminum alloy hardware as well as their durable textiles. The textile has also been used in a special edition of the Danner Light ($390), which will feature panels of the rugged nylon and they're also laced up with Dyneema laces.